If you or a loved one have been attacked and/or bitten by a dog one of your questions may be how to deal with infections. Probably the scariest of the various infections you can get is rabies. Rabies infection is not something to be taken lightly. 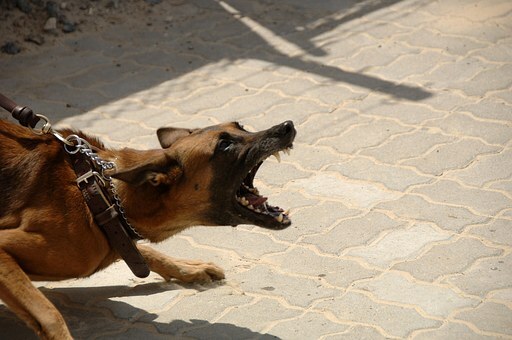 While rabies is rare, it is also almost 100% fatal to a person or animal that has it. This is why it is so important to call 911 after a dog bite so the police can get involved to help assist in locating the dog owner to make sure the dog has had its rabies vaccinations or that it be quarantined to look for signs of rabies. Sometimes, neither of these will happen and a person will have to go through the rabies shots as a safety measure which can be a painful process of having multiple rabies shots into the area of the bite. It is best to have the injections done as soon as possible, but no later than within 6 days of the dog bite. The injections can include both the HRIG (human rabies immune globulin) and the vaccine depending upon if you have been previously vaccinated or not. Your medical professionals should be able to assist you with whether you should have the injections and if so, which ones and how many you will need. Dog bites pose other risks of infections and often you will be given an antibiotic sometimes pills and/or topical medications to apply to your wound. One of the most common bacteria in a dog's mouth is called Pasteurella. This bacteria is contained in the mouths of more than 50% of dogs in the US. Usually, it only causes a painful and red infection in the bite wound, but sometimes can lead to more serious problems especially in people with weak immune systems. Regardless, if you are prescribed an antibiotic or not make sure that you monitor your wounds closely. If you see red coming from the wounds that become larger then you need to immediately get back to the doctor or emergency room, if necessary. Another warning sign is if the fluid coming from your wounds smells bad, you develop a fever and/or the wound does not seem to be healing properly. These are warning signs that the area may be infected, and you should seek prompt medical care in order to avoid more problems and possibly permanent injuries. When it comes to your health, it is always better to be safe than sorry. Do You Need an Attorney for Your Iowa Dog Bite Claim? Not necessarily. In minor cases where you have no permanent scarring or injuries, you can likely handle the case yourself without paying an attorney a percentage of your recovery. However, please make sure you have in writing with the dog owner’s insurance company who will be paying your medical bills and/or paying back your health insurance in the settlement. You don't want to end up with a settlement and then have to pay it all back to your health insurance company as sometimes happens. If you or your loved one sustained more serious injuries, then you should definitely consider hiring an attorney to help you through the somewhat complicated process. The process can include filing a lawsuit, paying back subrogation holders, determining the value of your case, making sure all your damages are considered, conducting a mediation, etc. A qualified Iowa personal injury attorney with experience handling dog bite cases will help guide you through the process and take care of the legal process for you so you don't make an avoidable mistake. Also, that way you can focus on healing both physically and mentally from your injuries. Keep in mind that not all personal injury attorneys have the necessary experience to properly handle a dog bite case here in Iowa. First of all, make sure the attorney is licensed in Iowa and is familiar with Iowa's dog bite laws and they vary greatly from state to state. Iowa is what we call a strict liability state which basically means if a dog bites you and you were not doing something illegal, then the dog owner is liable for your injuries. This also includes injuries you sustain while a dog is attacking you. Some states have a so-called "first bite" rule which means you have to either prove the dog bit, someone, before or that it was a dangerous dog prior to biting you. Thankfully, here in Iowa, we don't have that unnecessary burden to prove. In Iowa, dog owners are responsible for the actions of their dogs under almost every situation. If you are still on the fence about whether you should contact a lawyer or not, then at the very least you should request a copy of our new book “Iowa Consumer’s Guide to Dog Bites - 5 Insider’s Secrets to Not Get Bitten by Your Case” that we offer you at no risk and no cost at www.IowaDogBiteBook.com or by calling 800-707-2552 ext. 613 (24 hour recorded message). Do I need an attorney in my dog bite case? If I need an attorney, how do I find the best attorney to handle my personal injury case? What damages am I able to recovery in my case? and much, much more . . .
We offer our Dog Bite book because we have seen too many Iowans make avoidable, but very costly mistakes that sometimes cost them thousands of dollars and other times cost them their entire case. So request a copy of our book so you can learn how to avoid costly mistakes in your case. Finally, you can learn about dog bite laws here in Iowa in the comfort of your own home without any cost or obligation. However, if you would like immediate assistance or have questions you would like answered now just give us a call at 641-792-3595 and ask for Corey or Erik. We have 4 fully staffed Central Iowa locations (Des Moines, Ankeny, Newton and Marshalltown) and offer by appointment only offices throughout the state of Iowa.